Note that Umbrella Entertainment has included both the uncut version of the movie as well as the R-rated version of the film in this set. 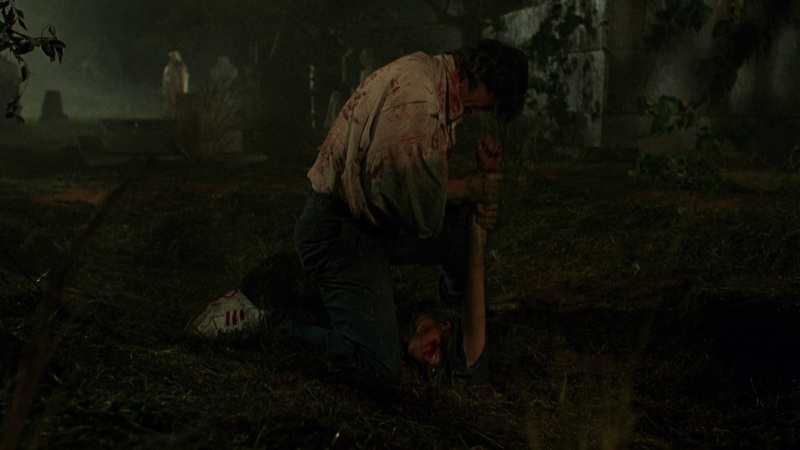 Normally most fans wouldn't care about the R-rated cut but in this case, it's an interesting variant because the gorier bits that were trimmed for that R-rating weren't just cut out but replaced by some interesting alternate footage. 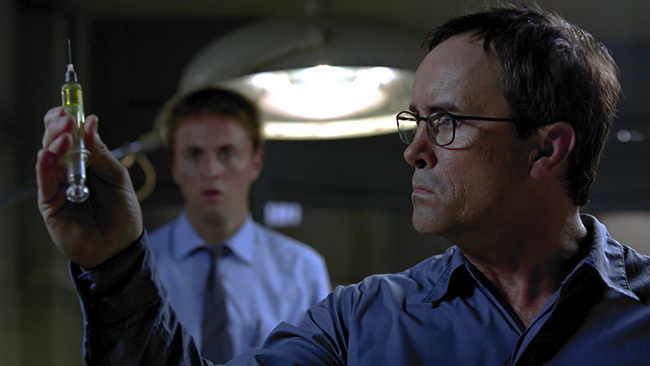 In 1990, Dr. Herbert West (Jeffrey Combs) is taken into custody when his former partner, Dan Cain, turns states evidence on him after a zombie that he created kills a teenage girl in her kitchen one dark and rainy night. 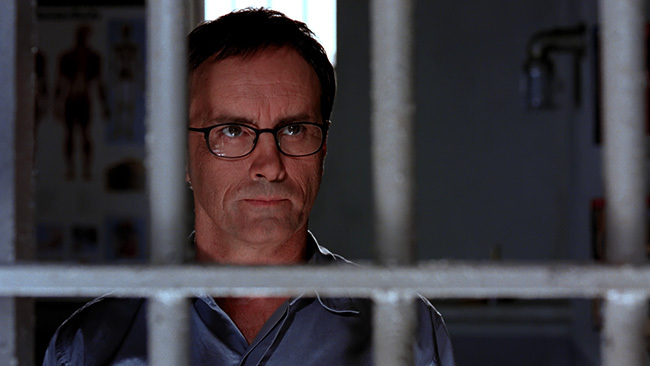 Fast forward thirteen years to the present day and we find Combs locked up in a maximum-security prison trying vainly to continue his experiments using what primitive means are available to him on the prison’s rodent population. A new Doctor by the name of Howard (Jason Barry) is brought in to the prison to work on the inmates and he requests that West’s services be made available to him on the basis that he’ll need a hand every now and then. Well, it turns out that Howard is the brother of the girl who was killed in the kitchen those thirteen years ago and since then he’s studied up on West and knows about his past. Howard figures if they work together they can break down the barriers between life and death and do some genuine good for the world with their experiments if they work together. While all this is going on, Howard begins to fall for a foxy looking reporter named Laura (the beautiful Elsa Pataky) who is doing an investigative piece on the man who runs the compound, Warden Brando (Simon Andreu). 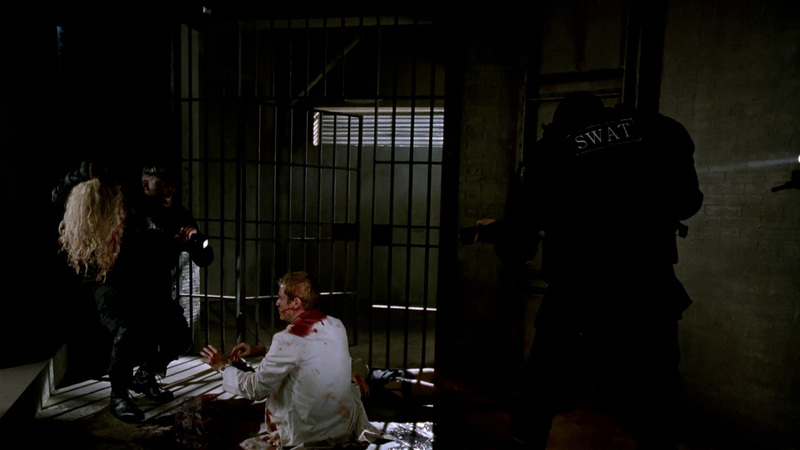 The Warden though has other plans and when he finds out that West and Howard are working together and using some of his inmates as guinea pigs, things get ugly and a prison riot soon erupts, causing Howard and West to have to figure their way out of the mess that they’ve created for themselves. 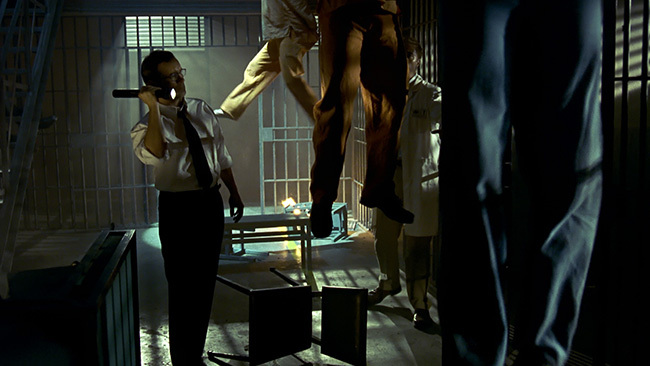 The film starts off with a great opening scene and keeps moving at a reasonably brisk pace from start to finish, culminating in the prison riot where we finally get to see what happens when the re-agent is given to a living human being (no shock that the results are messy!) and when a rat gets re-animated. 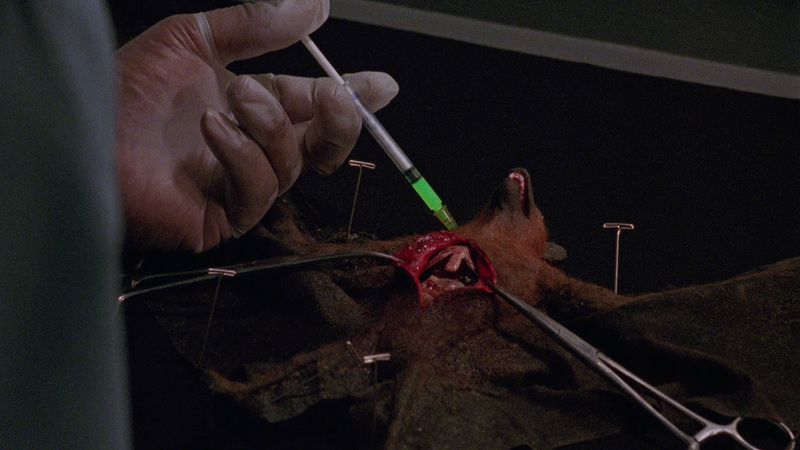 That said, Beyond Re-Animator is far from perfect. 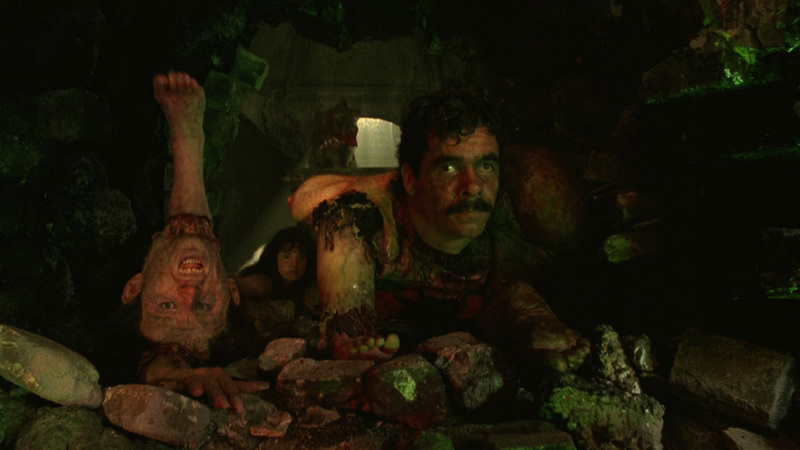 The acting is subpar even by low budget horror movie standards, and I’d guess that a big part of the reason why this is would be because it was shot primarily with a Spanish cast. 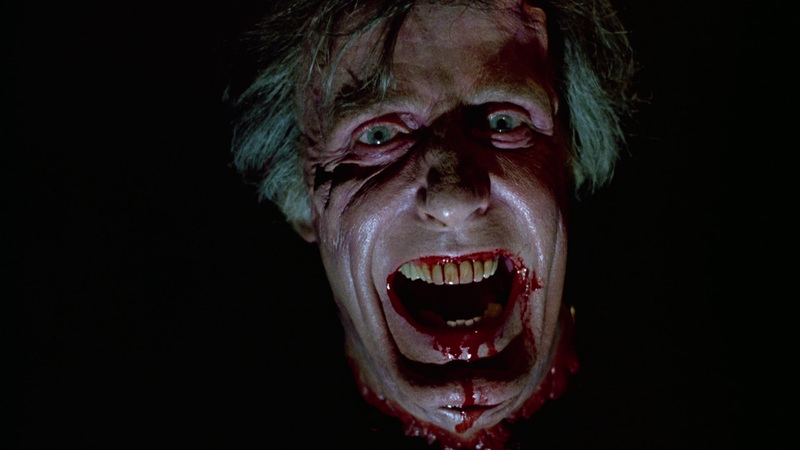 But those flaws aside, Combs is good enough to carry the picture and the gore effects from Screamin’ Mad George are a lot of fun and don’t hold back at all. 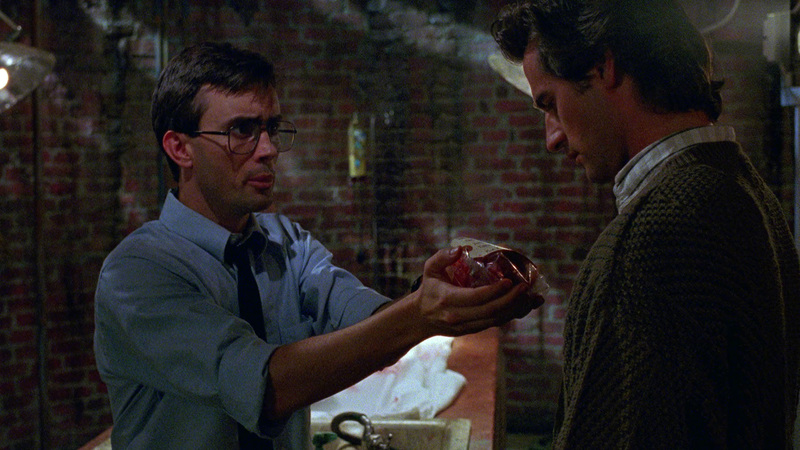 Bride Of Re-Animator arrives on Blu-ray from Umbrella Entertainment framed at 1.78.1 widescreen in AVC encoded 1080p high definition from a 2k restoration. Both versions of the movie look great here and show very strong detail and nice color reproduction. 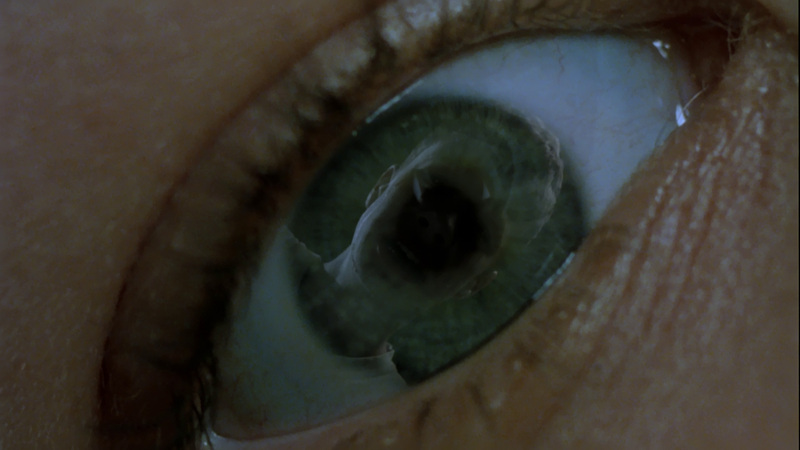 Compared to the previous DVD release, the upgrade in picture quality offered by this release is impressive. Although this was a feature made on a modest budget, there's good depth to the picture and neither disc shows any issues with compression artifacts or noise reduction. Beyond Re-Animator, unfortunately, is a different story. It’s clearly had some fairly strong DNR applied to it, removing much of the natural film grain that should have been there and quite a bit of fine detail along with it. Likely taken from an older master, the image here is clean enough but quite soft and many of the darker scenes suffer from some moderate crush. It’s watchable enough and colors generally look quite good, but this isn’t quite the sterling presentation afforded to the earlier film. English language DTS-HD Master Audio tracks are provided for both films, with Bride getting a 2.0 Stereo mix and Beyond getting a 5.1 Surround Sound mix. Both sound just fine, with clean, clear dialogue and properly balanced levels. There aren’t any issues with hiss or distortion and the scores sound fine. 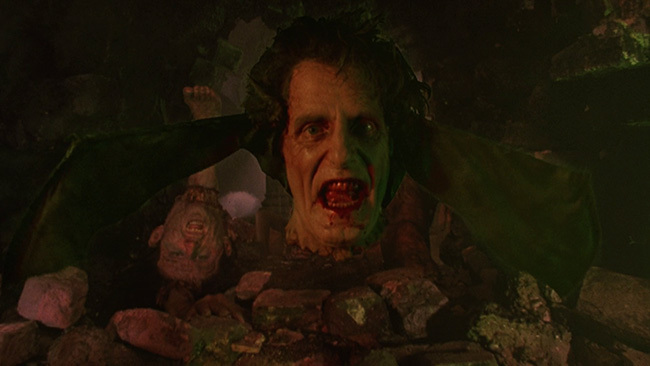 The two previously recorded commentaries from the old Pioneer DVD release (one featuring Yuzna, Jeffrey Combs, visual effects supervisor Tom Rainone and the effects team made up of John Buechler, Mike Deak, Bob Kurtzman, Howard Berger and Screaming Mad George and the second with Combs and Bruce Abbott) are also carried over so you're not left wanting for commentary action here. Both of these are quite interesting if you haven’t heard them before and play over the unrated version of the film. Yuzna’s solo track is also included here – so yeah, three commentary tracks. Obviously, there’s going to be a bit of spill over between them but they’re all worthwhile. 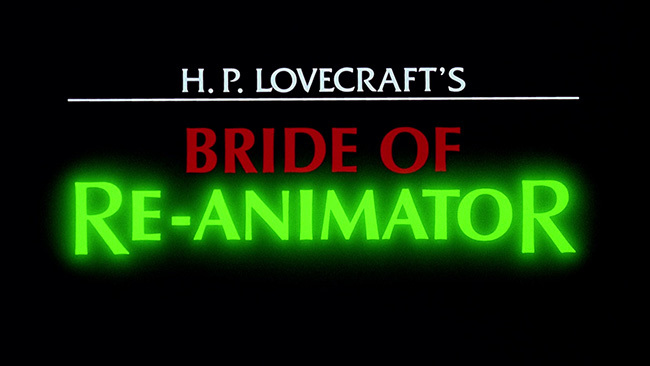 Brian Yuzna Remembers Bride of Re-animator wherein Yuzna does just what you'd expect given the title: talks about making the film. This covers a lot of the same ground as the commentary but of course it has the added appeal of allowing for clips and archival materials to be used throughout its ten-minute running time. 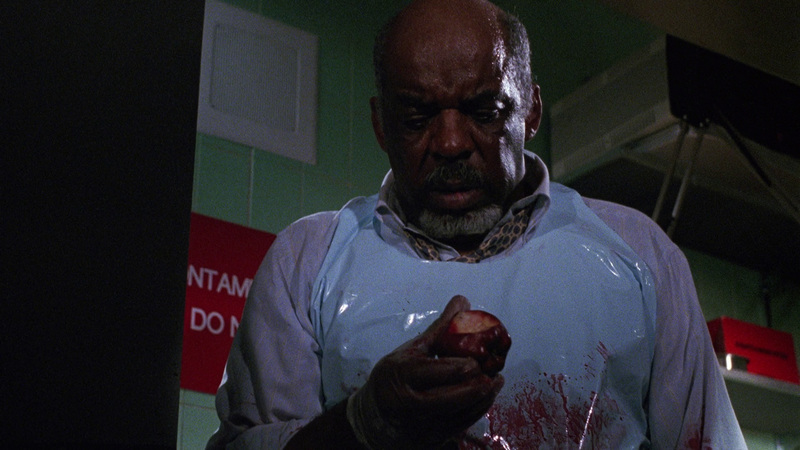 Also new to this release is Splatter Masters: The Special Effects Artists Of Bride of Re-animator wherein Robert Kurtzman of KNB, Screaming Mad George, Tony Doublin and John Buechler are all interviewed about working on this picture. There's a lot of great behind the scenes footage in here along with the interviews and those who geek out over this type of thing should be quite pleased with this fifteen-minute production. Again, carried over from the older DVD release is the Getting Ahead In Horror archival making-of featurette that runs twenty-four minutes. There's some footage in here not seen in the other pieces and so it's pretty interesting. Plenty of cast and crew interviews in here and some remarkably candid footage shot during the production to appreciate make this worth checking out if you haven't seen it before. Umbrella also provides a fifteen-minute piece called Behind The Scenes: The Special Effects Artists which is essentially a collection of effects footage shot documenting some of the more memorable scenes in the picture. Also on hand are two deleted scenes, a Carnival Sequence two minute clip made up of stills and commentary explaining some lost material, the Dark Adventure Radio Presents: Herbert West: Re-Animator radio play version of the story, and a two-minute theatrical trailer. Menus and chapter selection are also included. 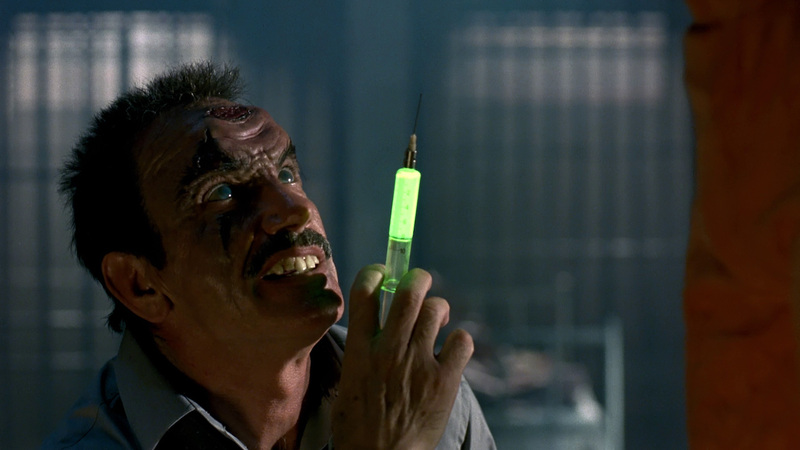 Beyond Re-Animator also includes an audio commentary with director Brian Yuzna and he once again proves to be a fairly lively commentator. He discusses Combs role in a fair bit of detail and the pressures of following up the successful first two films in the series. Lots of talk about the effects work, reuniting with Combs again and what it was like shooting in Europe. 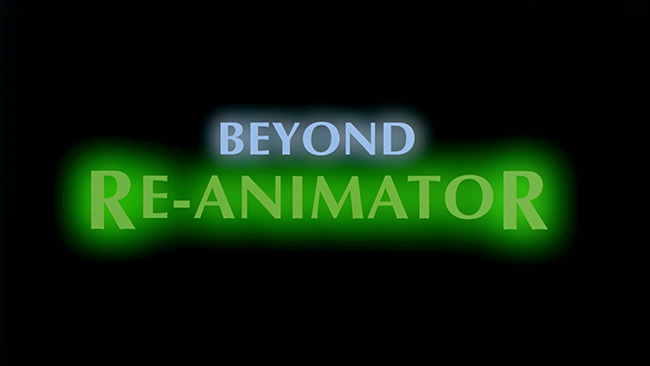 There are quite a few featurettes here as well, starting with an eighteen-minute piece called, appropriately enough, The Making Of Beyond Re-Animator which is made up of interviews with Yuzna and most of the principal cast members. There’s also some decent behind the scenes footage in here too, which makes it worth checking out. There’s also a thirteen-minute Behind The Scenes segment that contains raw footage shot on the set of the film during the production showing the cast and crew hard at work. 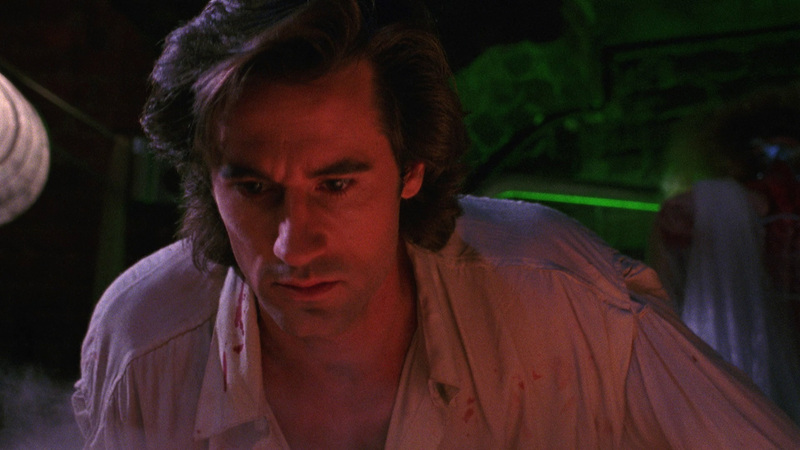 A nineteen-minute assemblage of interviews gets Brian Yuzna, Santiago Segura, Jeffrey Combs, Jason Barry, Simon Andreu and Elsa Pataky in front of the camera one at a time to talk about their work on the picture. 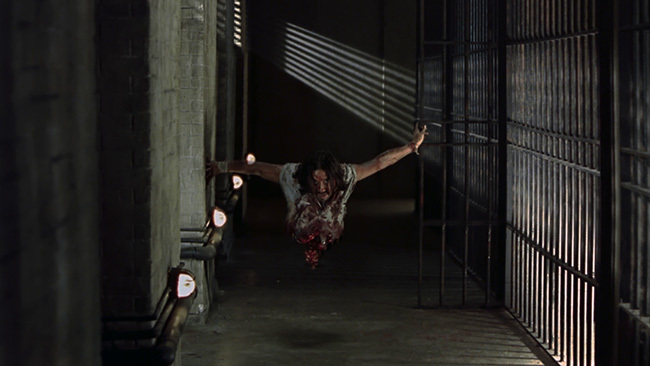 Yuzna covers some of what he talks about in the commentary but it’s great to get some insight from the cast members here and to hear them chat about their experiences on set and their thoughts on the picture and working together on it. 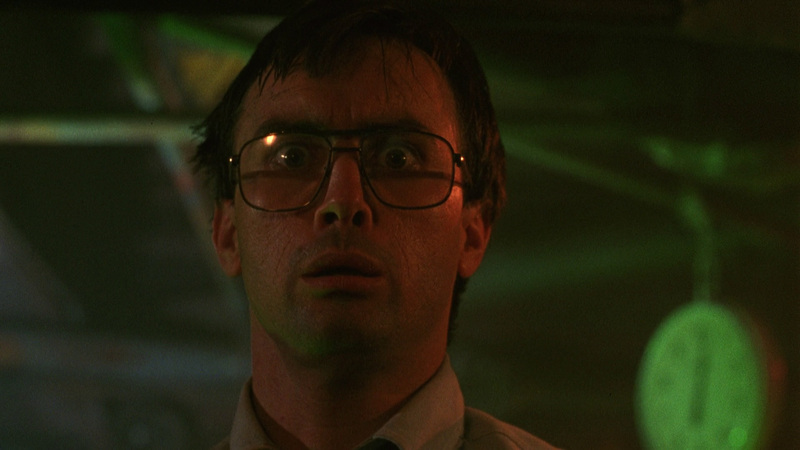 Rounding out the extras on the disc is a five-minute promo video called Dr. Re-Animator: Move Your Dead Bones and the film’s original trailer. Both discs feature menus and chapter selection and Umbrella has packaged this with a slipcover and with some very cool reversible cover art. 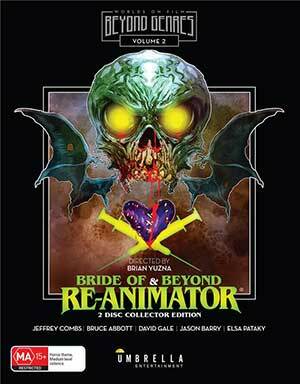 Umbrella Entertainment’s double-disc/double-feature release of Bride Of Re-Animator and Beyond Re-Animator is pretty solid. Beyond’s transfer leaves something to be desired but otherwise this release shapes up nicely and it’s fairly stacked with extra. Neither feature is as good as the original film but both are plenty entertaining and deliver a fun mix of gallows humor and quirky, gory horror. Lots of fun to be had here!